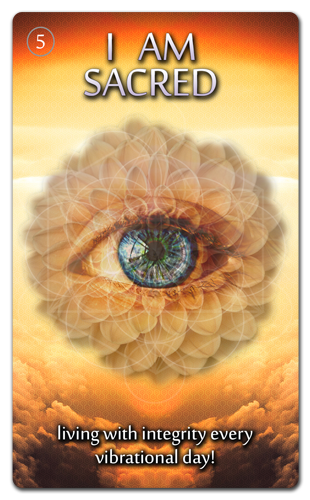 The I AM Sacred Affirmation deck consists of 52 cards incorporating sacred geometry within the affirmations. 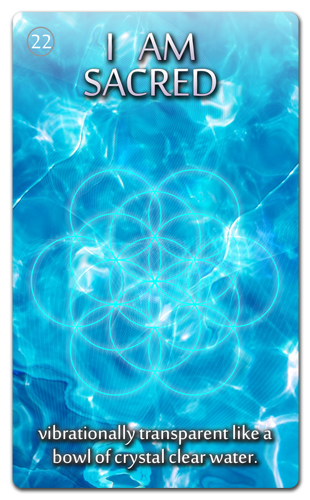 This deck is about inviting your intuition to welcome the vibration that you are, and always will be, sacred. The messages offer us a divine opportunity, to connect spiritually to our self. When we tap into what is already within us, our sacred vibration connects to our cellular memory in a creative and empowering way. Guide book by author Debbie A. Anderson and artwork & illustrations by artist Aaron Pyne. Quick Draw: Just shuffle the deck and pull a card for the day... for the moment... for direction. Meditate: Yes, you can! Shuffle the deck and pull a card. 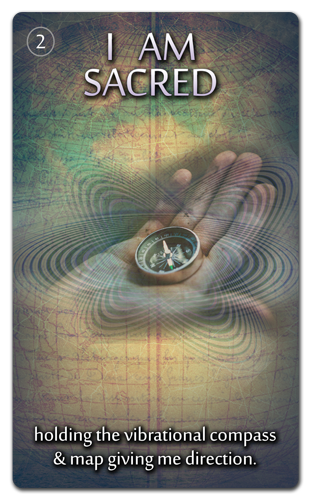 Ask Questions: Yes, ask your higher self for direction, for guidance and for manifesting. Shuffle, focus on your intention and pull a card. 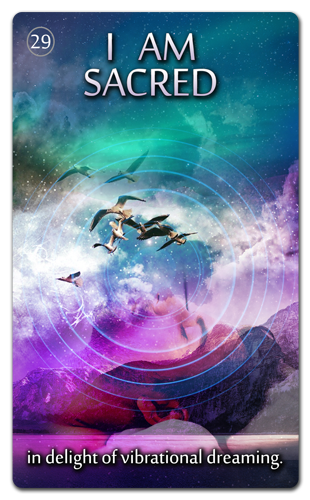 You have 52 empowering opportunities within this deck, so you WILL pull or draw the card that you need to embrace on every vibrational frequency. The cards are 3" x 5" each in size and they come with a interpretation Guide Book. What is the Purpose of an Affirmation Card?